The button below will take you to the new Online Giving secure web site. To learn more, please read the information below. Note: Online giving for National and International, and Mission Appeals only offers the “Bishop, please distribute gift according to need” option at this time, however, you can specify your donation to a specific designation by typing in your appeal designation preference in the special instructions field. We accept a one-time gift by credit card and bank withdrawal for the National, International, and Mission Combined Appeals. Click Proceed to Online Giving Site button at top of this web page. A receipt is emailed to you. Option 2: Create New Account and your login information. One-time Payments: Select ONE-TIME option. Complete the online form, confirm and submit. Option 3: Quick Give – Click Proceed to Online Giving Site button at top of this web page. At bottom right of this page, look for under “Quick Give” and click the word “here” and complete form. 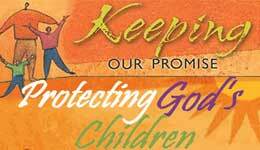 Call the Diocese of Rockford at 815.399.4300, extensions 353 and 355 with any questions. Our hours are Monday-Friday, 8:30 AM-4:30 PM. Thank you for your generous gifts!